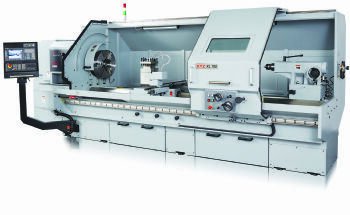 While Burlescombe-based XYZ Machine Tools (www.xyzmachinetools.com) remains a leading supplier of small- to medium-capacity CNC machining centres and lathes, the company is also a major player when it comes to large-capacity machine tools. 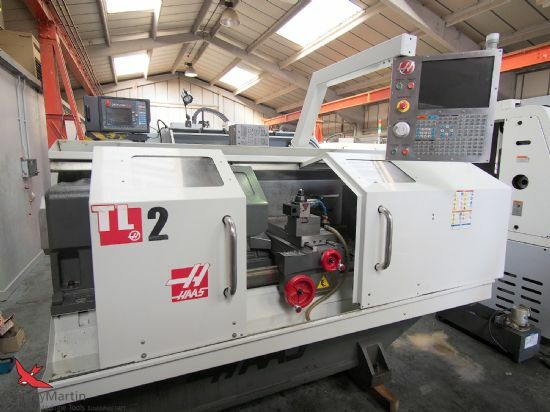 There are 12 machines making up its super-heavyweight range of machining centres and travelling-column machining centres, as well as XL lathes and an Oil Country lathe. The super-heavyweight machining centres are the XYZ 2010 HD, 2510 HD and 3010 HD, which have X-axis travels from 2,000mm through to 3,000mm; all three have a 1,000mm Y axis and an 800mm Z axis. High levels of machine rigidity and vibration damping are provided by substantial Meehanite castings and box slideways, with six slideways on the Y axis to maximise support for the machine table. As standard, the 8,000rev/min spindle is rated at 30hp (23kW) on a continuous basis, with 36hp and 56hp available for 30min and 2.5min (in every 10min period) respectively. Control is via a Siemens 828D Shopmill system with 15in touch-screen fitted as standard; options include fourth- and fifth-axis capabilities, as well as tool and workpiece probing. XYZ’s four-machine travelling-column range features X-axis travels of 4,000, 6,000, 8,000 and 10,000mm, with Y- and Z-axis travels of 800mm and 600mm (800mm is an option); all axes feature linear-rail technology. The 15hp (continuous) spindle has a speed range of 60-8,000rev/min, with up to 38hp available for short periods. The maximum rapid-traverse and cutting feed rates are 24m/min in all axes, with the X axis driven via a backlash-free gearbox and a high-precision gear rack. These machines range in weight from 22,000kg to 32,000kg and can be applied to the machining of highly complex components often found in the aerospace sector. Meanwhile, the XL lathe series goes from the XL 780 (with a 780mm swing over the bed and 3,000mm between centres) to the XL 2200 (with a 2,200mm swing and up to 12,000mm between centres). Spindles range from 43hp on the XL 780 through to 94hp on the largest model, with spindle speeds from 4 to 1,300rev/min and up to three gear ranges (depending on the machine). All machines feature a cast bed with wide ‘V’ and flat bedways. The XYZ Oil Country lathe features a swing over the bed of 1,100mm and 3,000mm between centres as standard, although this can be between 1,500mm and 16,000mm to suit specific customer needs. The spindle bore is 420mm as standard, although larger diameters are available. The spindle is rated at 85hp (63.3kW) continuous; and when it is specified with a 420mm bore, the spindle features three gear ranges for speeds from 5 to 250rev/min. Components weighing up to 1,000kg can be machined using just the chuck for support; this can be increased to 4,000kg when the tailstock is used, and 7,000kg can be accommodated when the chuck, tailstock and a steady are used together.